Please use the resources and reference materials on this page as needed when using depth and complexity to dive deeper into content and your thinking. 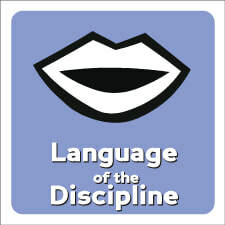 A discipline is an area of study such as math, science, history, or language arts. The LANGUAGE refers to words and vocabulary that are specific to the area of study. For instance, the words plateau, plains, valley, and marsh all relate to the discipline of GEOGRAPHY. The words quotient, divisor, multiples, and addition all relate to the discipline of MATH. What specific vocabulary are used that relate to the study of the topic? What other words, phrases, symbols, or abbreviations are needed to understand the topic? A detail is a fact, feature, or item. It is a "part" of something. 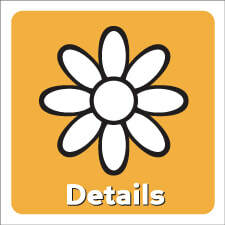 A detail can be a characteristic or quality of something. The details can be the who, the what, the when, the why, and the how such as the parts of a story. Details can be clues, facts, data, ideas, traits, or specifics. What are the important details (parts, features) of what you are studying? How do these details make this topic different than other topics? This icon of depth and complexity is encouraging the learner to study the order in which things occur and elements/events/ideas that REPEAT. 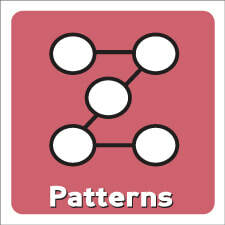 The word "pattern" refers predictable repetition or features that repeat. What is the order of the events being studied? Can you make predictions based on the patterns you observe? This icon of depth and complexity relates to how things are ORGANIZED. 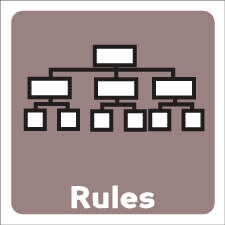 Rules can also relate to guidelines for things that are ALLOWED or NOT ALLOWED. There are RULES in math for adding, subtracting, multiplying, dividing, and problem solving. In ELA, there are certain rules that must be followed when writing something such as a mystery. In science, there are rules that must be followed when collecting data or taking a measurement. RULES ARE CLOSELY RELATED TO PATTERNS AND DETAILS. How are the main ideas of the topic ORGANIZED? How do the details and patterns in the topic relate to the rules? 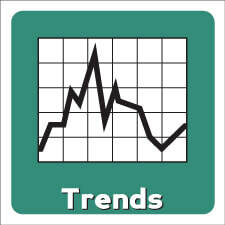 A trend often refers to something that becomes popular or fashionable over time. Example of past trends include the rush for children to obtain and collect different FIDGET SPINNERS. Learning the dances in FORTNITE is another recent trend amongst children. Trends can relate to fashion, games, toys, or styles. On social media, when many, many people suddenly begin posting articles or opinions about a certain topic, it is said that the topic is TRENDING. For example, when Prince Harry married his girlfriend, Meghan Markle, people were posting pictures and articles online related to the wedding. The topic (the royal wedding) was TRENDING on the internet. Trends can also relate to noticeable changes that occur over time and persist. When gas prices drop and continue to be low, it is considered to be a trend in gas prices. In your topic, did you notice a pattern that changed over time? What factors caused the trend? What influenced trends in the topic you studied? Have you ever read something, learned about something, watched something, etc. and had questions that were not answered? 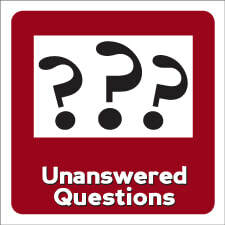 These questions might relate to something that was unclear, not understood, or unable to explain. The questions may arise because something wasn't complete. Maybe you have questions because the ideas presented weren't necessarily factual. What lingering questions do you have based on what you studied or read? What questions do you have based on something you read or watched that felt incomplete or left certain things unexplained? 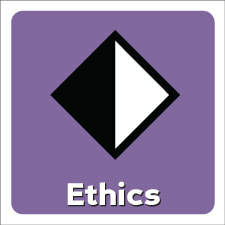 Ethics are those personal guidelines a person follows based on what they know is right thing to do versus the wrong thing to do. When you study a topic, you notice when people "do the right thing" even when doing the right thing is difficult (a dilemma). For instance, if a character in a story has a pet that is suffering (in great pain) due to an injury or illness and has no hope for recovering, the character may choose to have the pet euthanized (peacefully put to death) because the character knows (from his/her past learning) that it's not ethical to let animals suffer when there is no hope for recovery. Many times, ethical issues are related to controversies. Controversies can occur when different people have different opinions on what is right and what is wrong. For instance, some people believe it is ethical to sentence a person to death if they committed a brutal crime. Others feel like this is not ethical. This is a situation where ethics are related to your beliefs and values. What are some values, beliefs, and judgments that exist within your topic? Is there something in your topic that people might disagree on based on what they personally feel is fair/unfair? This icon of depth and complexity relates to a topic's most important thoughts that connect all parts of learning together. 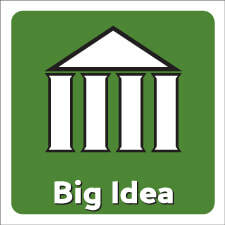 The big idea is often the LESSON LEARNED after considering all of the things that were taught about a particular topic. Big ideas must be backed up with EVIDENCE from what you studied. Big Ideas must be written in COMPLETE SENTENCES. Big ideas are often confused with TOPICS. If you are learning about earthquakes in science, the TOPIC is EARTHQUAKES. After learning about earthquakes, the BIG IDEA might be EARTHQUAKES ARE THE BIGGEST THREAT TO RESIDENTS OF SAN FRANCISCO. If you are reading the book The Giving Tree by Shel Silverstein, the TOPIC is THE GIVING TREE. The BIG IDEA might be "It's more important to GIVE than it is to RECEIVE." or "The ability to make personal sacrifices is the ultimate show of love." What is a statement that reveals the lesson learned from the content that was studied? What evidence supports this statement? "Time" refers to the past, present, and future. This icon of depth and complexity refers to looking at relationships within a period of time and how the past relates to the present. How has an idea changed/evolved over a period of time? How has time changed how people view certain subject matter? How does knowledge gained over a period of time help us understand how future events may play out? 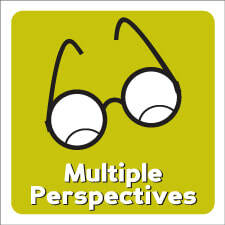 ​Perspectives are different points of view and the ability to see something through another person's eyes. How do different people react to the same situation in their thoughts, feelings, and actions. How do different people view the same topic? What are different people thinking/feeling about the same situation? How does seeing something from a different perspective affect how we learn? A discipline is an area of study such as science, social studies, biology, business, performing arts, visual arts, history, languages, literature, philosophy, economics, geography, law, psychology, computer science, mathematics, engineering, medicine/health, etc. 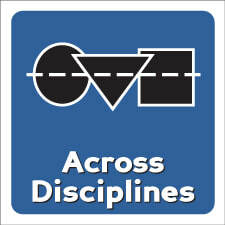 This icon of depth and complexity focuses on relationships within disciplines and between disciplines. How does the topic relate to other subject matter? Describe the topic's place in more than on discipline. Sort what you are studying/reading/etc. into different disciplines. The origin of something is the beginning. It's the root of an idea. It's the idea's source. It can even be an event that gets the ball rolling. Think of the sun being the source of light on earth. The sun is the root, and the light reaches all stretches of our solar system. How did the topic studied begin? When and where did the topic originate (begin)? 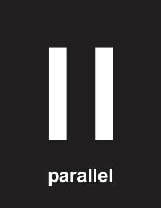 Parallel ideas and events are similar and can be compared. People's lives and experiences can be parallel with other people's lives and experiences. This content imperative focuses on the likenesses between people, places, and events. What similar elements exist between the topic studies and other topics. Why does this topic relate to other topics? How do the topics relate to one another? 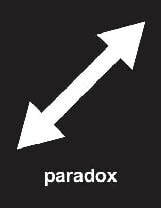 Paradox involves contradictory elements. Contradictory elements are elements in speech or actions that are opposites. For instance, a person who says "Smoking is bad!" and is then spotted smoking is demonstrating a contradictory behavior. A paradox occurs when two opposite things but may be true. A paradox can also be when a person has qualities that appear to be opposites. For instance, many actors enjoy being seeing by millions of people, but they value their privacy over everything else. A paradox can also be a statement that says two things that are opposites. The novel A Tale of Two Cities by Charles Dickens states "It was the best of times, it was the worst of times, it was the age of wisdom, it was the age of foolishness....... it was the season of Light, it was the season of Darkness, it was the spring of hope, it was the winter of despair, we had everything before us, we had nothing before us..."
What ideas contradict each other within the topic? What problems result from the contradictory elements? A contribution can be something that is done to help a person or a cause. A contribution can also be something that someone DOES that causes something to HAPPEN. Contributions usually refer to the efforts or work done by a person to reach a goal. 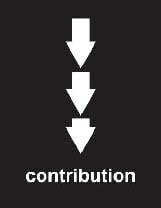 Contributions involve someone giving something to a cause. With this icon, we study the CAUSES that lead to an EFFECT. For instance, the AMERICAN REVOLUTION CONTRIBUTED to the establishment of the United States and Great Britain recognizing the USA as an independent nation. What were the changes that came about as a result of the topic? 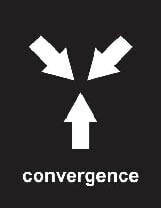 Converge means to come together. At a family reunion, family members from all over the country converge (or come together) at one location to see each other and reconnect. 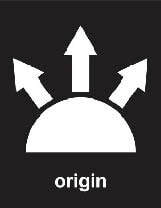 This CONTENT IMPERATIVE icon refers to the coming together or meeting point of ideas or events. How do different ideas come together to achieve something great? For instance, growing tensions between the colonies and Great Britain led to the American Revolution. Many of these factors revolved around the idea of "no taxation without representation." What factors came together to cause the topic being studied? This link with force you to make a COPY of the Depth and Complexity reflection slideshow. The slideshow template has a slide for each D&C icon. You can use the slides to record your reflections that are associated with a particular icon. Use this template to create your own personalized slideshow to reflect on a novel, topic, idea, time in history, etc. using DEPTH AND COMPLEXITY. ​You can ADD SLIDES or DELETE SLIDES to personalize your reflection.